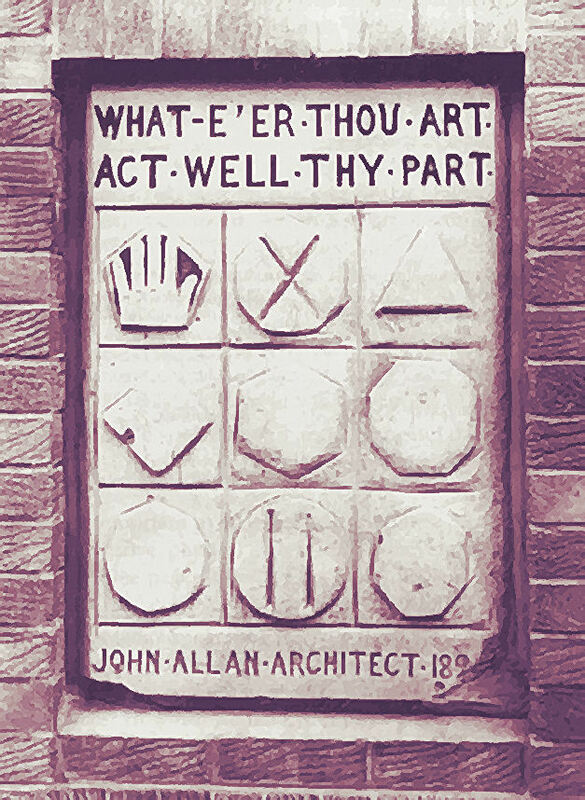 the motto he had seen chiseled on a stone in Scotland. 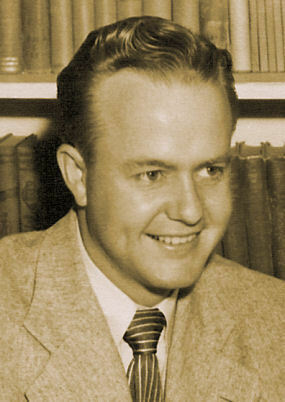 Wayne L. Sorenson, a science and mathematics teacher at BY High, who also served as a guidance counselor, was named Principal in 1950, and he served until 1952. 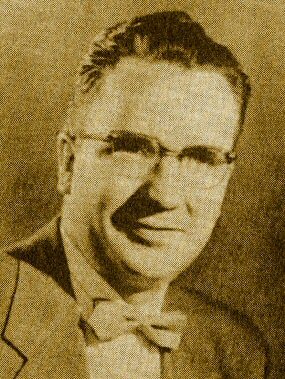 Rowan C. Stutz, an educator from Canada, became Principal in 1952 and served through 1954. 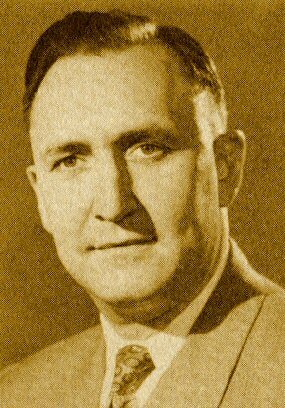 On April 4, 1951, George Albert Smith died after serving six years as President of the Church. 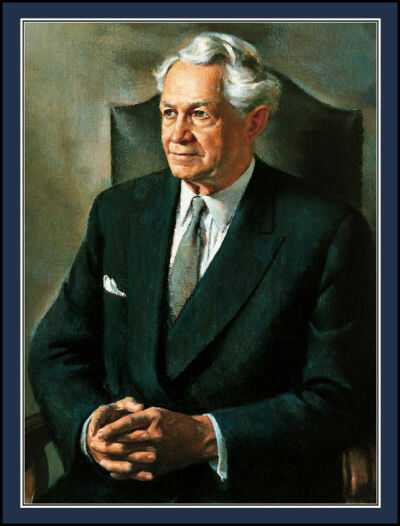 On April 9th, David O. McKay was sustained as President. He would serve in that position for almost 19 years, from 1951 to 1970. He was still serving when BY High celebrated its final commencement in June of 1968. President David O. McKay "acted well his part" throughout his lengthy service to the Church. Whether attending a reception hosted by Queen Elizabeth of England or mingling with so-called commoners, President McKay stood out physically and spiritually. He traveled the world and became an internationally recognized ambassador for the Church. After his call to the Quorum of the Twelve Apostles back in 1906, McKay had continued as head of Weber Academy until 1908, then had served on the institution's Board of Trustees until 1912. He had also served on the University of Utah's Board of Regents from 1921 to 1922, and on the Board of Trustees of Utah State Agricultural College from 1940 to 1941. He was Superintendent of the LDS Church Sunday Schools from 1918 to 1934, and in 1919 he became the Church's first Commissioner of Education. As Commissioner he recommended that most of the Church's high school academies in Utah be closed. These schools had been operating since the nineteenth century, but by 1920 seemed almost superfluous because of the growth of public high schools in Utah. In fact, the only Church high school in Utah allowed to remain open was Brigham Young High School in Provo, which continued for another 48 years. In the place of the closed Church high schools, McKay led the Church to build LDS "seminary" buildings adjacent to public high schools throughout the state of Utah. These seminary buildings allowed students to take voluntary, week-day LDS religious courses along with their secular high school education, usually on a released-time basis. President McKay also transferred three LDS colleges to the state of Utah in the 1920s: Snow College, Weber State University and Dixie College. He guided the remaining LDS school in Utah, Brigham Young University, into a full four-year university, with B.Y. High serving as an integral part of the BYU College of Education. BY High was a special place to train student teachers, particularly seminary teachers. Educational experimentation was added later to bolster the mission. There are two additional reasons why BY High was allowed to survive as long as it did. First, it was a visible link between Brigham Young, Karl G. Maeser, and Abraham O. Smoot, the founders, and the modern Brigham Young University. Second, it served as a recruiting tool for university professors. Many BYU teachers appreciated the option of either educating their own children in the public schools, or in a small Church high school staffed with university-level master teachers. 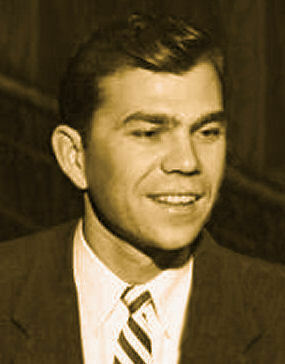 Four additional educators served as Principal of BY High during the 1950s: Morris A. Shirts, Ed.D., a mathematics and science teacher, and audio visual specialist and historian, who served from 1954 to 1956. 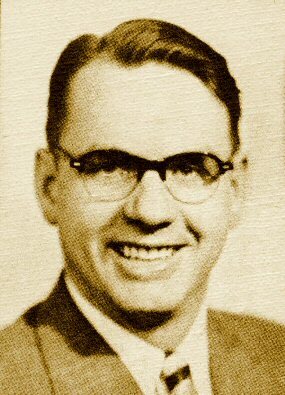 He was followed by Don L. McConkie, a social studies teacher with a master's degree, who served as Principal from 1956 to 1957. 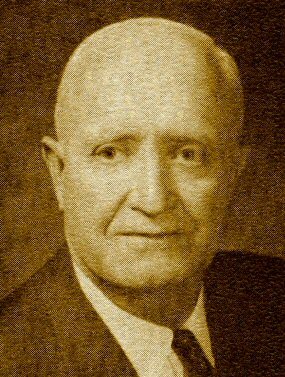 He was followed by Dr. John W. Tucker, who served from 1957 to 1958, until he left to become Superintendent of the Idaho Falls School District. In 1958, educator Dr. Max J. Berryessa became Principal, serving until he left to serve an educational assignment in Thailand in 1961. On the national level, Harry S. Truman, a former Vice President who became President upon the death of Franklin D. Roosevelt, was elected to a term as President of the United States in his own right, serving from 1949 to 1953. From 1950 to 1953, the United States was actively involved in the Korean War, the first "undeclared" US war. Ten BYU students were killed in Korea, but we are not aware of any BY High alumni who died during combat in the Korean War. BY High students were thrilled when the BYU men's basketball team, under Coach Stan Watts, won the National Invitational Tournament in New York's Madison Square Garden on March 17, 1951. The high school students knew all members of the team because they practiced on the Lower Campus. Later in the same year, future campus-builder Ernest L. Wilkinson was inaugurated as President of BYU. In June of 1952 the George Albert Smith Fieldhouse was completed, which became available for use by BYH physical education students and athletes. In a quiet but far-reaching development in 1953, Watson and Crick described the double helix that forms the foundation for DNA. 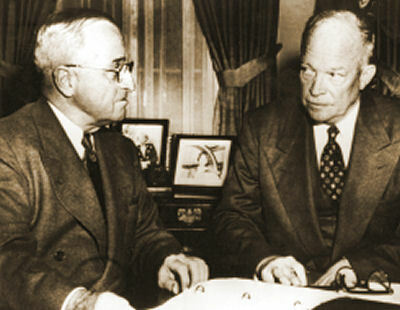 President Truman was followed by General Dwight D. Eisenhower, war hero from Kansas, who served as President from 1953 to 1961. One of President Eisenhower's greatest impacts on Utah came when he established the interstate highway system, which made all areas of Utah much more accessible. In 1954 the U.S.S. Nautilus, the first nuclear submarine, was launched on television with First Lady Mamie Eisenhower breaking the traditional bottle of champagne across the submarine's bow as it slid into the Thames River near Groton, Connecticut. Eight months later, on September 30, 1954, Nautilus became the first commissioned nuclear-powered ship in the United States Navy. By 1954 television had become commonplace in Utah Valley homes, and radio stations changed their formats to music. And the music of the 1950s moved from sentimental music to rock and roll. In September of 1955, the new Church College in Laie, Hawaii, was dedicated by President McKay. At BYU, buildings were being constructed at a record pace, to serve a record enrollment of more than 10,000 students in 1956-57. The historic civil rights movement began in 1955 when Rosa Parks refused to give up her seat on a bus to a white man, and blacks boycotted buses in Montgomery, Alabama. In the same year the Supreme Court ordered school desegregation. The year 1957 still stands as a landmark year for American auto design. Click here for an article on the subject. In October of 1957 the Soviet Union launched the first artificial satellite, Sputnik I, spurring a new emphasis on science in U.S. schools. That emphasis was seen in the updated curriculum of the Brigham Young University Laboratory Schools. It also led to the space race which put men on the moon a decade later. In 1957 a delegation of BY High students, the yearbook staff, traveled to Salt Lake City where they met with President David O. McKay in the Church Office building. They conversed for a while, and then President McKay signed a photograph to be included in the annual that year. It was a symbolic highlight of the McKay years at Brigham Young High School.